Overcast. Slight chance of a rain shower. High 67F. Winds SW at 10 to 15 mph..
Overcast. Slight chance of a rain shower. Low near 45F. Winds WNW at 5 to 10 mph. Maurice Duane Geiger, 83, died Feb. 18, 2018, following a long struggle with Parkinsonism, at his home in Center Conway, surrounded by family at his bedside. He dedicated his life to justice. He was born on Aug. 20, 1934, south of White Cloud, Mich., and east of Newaygo, in an isolated log cabin with no running water except the creek out back. He lived the first years of his life in the cabin with his five siblings, spending much of his time with the animals and plants of the surrounding woods. The cabin, which his father had helped build, burned to the ground when Maurice was 6. His father was Lawrence Geiger, and his mother was born L. Marguerite Welch. His parents separated while Maurice was a child. His mother, whose grit and wisdom served as a support and guide for Maurice, was a schoolteacher. She ended up with a different post nearly every year, and Maurice said he had moved about 15 times before he graduated from Clinton High School in 1952. He then attended Michigan State University, while he worked 40 hours a week at an Oldsmobile plant to support his family. He received his bachelor’s degree from Michigan State in 1956 with a major in police administration. After college, he joined the Navy and graduated from flight school at the Naval Air station in Pensacola, Fla. He was an aviator on active duty in the Navy from 1956-1957. Following his active service, he moved to Washington, D.C., serving in the reserves for several more years, finally leaving as lieutenant commander. In D.C., he first worked as a corrections officer in the Bureau of Prisons and then as a computer programmer for the Navy. During this time, he met his future wife, Nancy Crocker, in a boarding house in the nation’s capital where they both rented rooms. They married on May 27, 1960. They had four sons, each born two years apart starting in 1962. While working days, Maurice took night classes at Georgetown University Law Center and he received his law degree in 1963. He went to work for the U.S. Department of Justice in 1965, becoming the director of the department’s Management Information Office the next year. He left the Department of Justice in 1969, following the election of Richard Nixon, saying that the department was becoming too politicized and no longer interested in justice. He was recruited by former U.S. Supreme Court Justice Tom Clark to develop management systems capability at the Federal Judicial Center, which serves as staff to the U.S. Supreme Court. In 1972, he and his family moved to Birch Hill in North Conway. 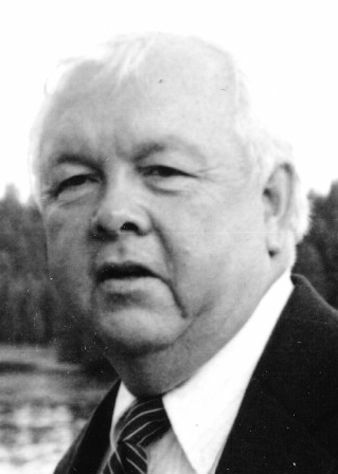 From 1972 to 1976, he was a staff attorney and adjudication specialist for the New England region for the Law Enforcement Assistance Administration. During the late 1970s and early 1980s, he worked with Ernest Friesen, dean of the California Western University School of Law, studying and working to improve court systems throughout the country by helping them to reduce backlogs and delays. In 1982, he co-founded the Rural Justice Center with Kathryn Fahnestock. They worked together to reform judicial systems in rural areas and small towns throughout the United States. Starting in 1995, the Rural Justice Center concentrated on international programs. Maurice made scores of trips to Haiti, spent 15 months in Bangladesh, and also worked in Rwanda, Ethiopia, the Republic of Georgia, Armenia, and other countries. He was awarded the New Hampshire Bar Association’s 2008 Daniel Webster International Lawyer of the Year Award. In 2016, he was honored by Haiti’s Supreme Council of Judicial Power for his two decades of service working to improve the country’s judicial system. Over the years, he appeared on “CBS News,” “60 Minutes” and in front-page articles in The New York Times concerning Haiti and judicial reform issues. He was a member of both the Virginia and New Hampshire bar associations. Despite his travels, Maurice immersed himself in the civic life of the Mount Washington Valley. He was a delegate to the New Hampshire Constitutional Convention in 1974. Beginning in 1976, he practiced law in Carroll County, primarily taking pro bono and court-appointed cases. He served as president of the Eastern Slopes Little League in 1977. He was elected to three terms on the Conway School Board, serving nine years from 1975 to 1984. He was elected Carroll County Attorney, and served as the county’s prosecutor from 1992 to 1994. Maurice loved playing sports with his sons and with other young people in the area. On weekends, he could often be found playing touch football on the green in North Conway in summer and fall, or boot hockey by Third Bridge on West Side Road in winter. He also spent many hours playing basketball and tennis. He served as an umpire at Little League games and later as a line judge for the Volvo International tennis tournament in North Conway. He was an occasional poet, and several of his poems were published in Mount Washington Valley newspapers. He is survived by one sister, Marguerite I. Kellogg, of Lansing, Mich.; his wife, Nancy C. Geiger, of Center Conway, N.H.; their four sons, Robert S. Geiger, of Silver Spring, Md., his wife, Catherine Buckler, and their daughter, Sophia Buckler Geiger; Kevin W. Geiger of Pomfret, Vt., his wife, Corinne Smith, their son, Brendan Geiger, and their daughter, Rosalie Geiger; Thomas S. Geiger of Seattle, Wash., his wife Aiko Schaefer, their son, Isaiah Schaefer-Geiger, and their daughter, Naomi Schaefer-Geiger; and Steven T. Geiger of Washington, D.C., and his spouse, Raul Serpas; sister-in-law, Linda Saunders and brother-in-law, Albert Saunders of Plymouth, Mass. ; brother-in-law, James Lopez of West Olive, Mich.; and numerous nieces, nephews and cousins. A memorial service will be planned for a later date. Arrangements are being handled by Furber & White Funeral Home in North Conway. The family would like to extend a special thank you for the care and comfort provided the Visiting Nurse Home Care & Hospice of Carroll County. Donations in Maurice’s memory can be made to Health through Walls, a non-profit whose mission is to assist low-income countries in implementing sustainable improvements in the health care services of their prisons. The donations can be made online at healththroughwalls.org or by mail to Health through Walls, 12555 Biscayne Blvd., No. 955, North Miami, FL 33181.